Once quoted by Christopher Perry, regional vice president of sales marketing – The Americas – at IHG, “Boy does David know his business…and well. As the cluster DOS for the Intercontinental Barclay, Intercontinental Central Park and Crowne Plaza United Nations, David was responsible for development of the corporate travel market; has deep relationships with his clients and a true strategist. His communication skills are extremely impressive leaving both his superiors and customers confident they are being well represented”. David has held a range of leadership positions in his three decades of service in hospitality and was most recently Senior Vice President of Sales and Marketing for The LAM Group and Corporate Vice President of Sales and Marketing at Real Hospitality Group – assuming oversight of 57 hotel(s) top line strategy and execution whilst serving as liaise to (10) Brand vice presidents and numerous ownership groups. David championed the triumphant launch of YOTEL New York – the company’s first full-service hotel in NYC and the United States where he created the radical culture, unique service concept, spirit of the hotel and architected the sales & marketing organization and structure which ultimately became the Brands signature public relations, e-commerce, social media and marketing strategy. In 2003 David launched 70 Park Avenue – Kimpton’s first hotel in NYC. His career began with Accor International in 1984, as National Sales Manager for Sofitel, Novotel, Mercure and Ibis brands in France, Belgium, Holland, French Polynesia and West Africa for nearly a decade and functioned as liaise to the French Gov’t. tourist office. David joined Stouffer Hotels & Resorts in 1991 and from there he has assumed a variety of sales leadership roles for Hilton, InterContinental, Kimpton, Marriott, Starwood, and Sheraton Suites as General Manager, overseeing a multi-million-dollar renovation of the full-service Sheraton Lincoln Harbor in Weehawken, NJ. 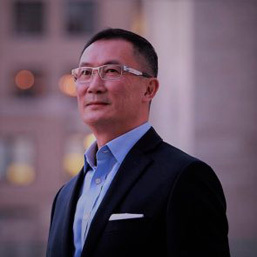 David brings extensive knowledge, global market experience and relentless passion for results and excellence to his new position as Senior Vice President of Sales and Marketing with GAM Hospitality, a NYC-based company.